Earlier this week, Wu-Tang Clan member RZA had an interesting interview with Charlamagne tha God on The Breakfast Club. In that interview, he admitted that Russell Crowe did spit on Azealia Banks at a Hollywood party last year. Charlamagne asked RZA how he could let a man spit on a woman, and RZA basically shrugged, said it was fine, because Crowe apologized to him and it wasn’t a big wad of spit. 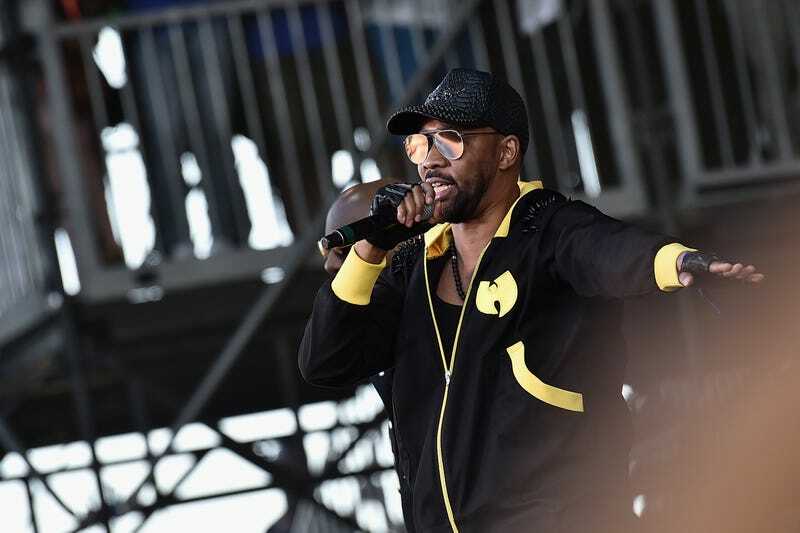 In any event, many people have questioned RZA’s antics and are probably waiting to hear what he has to say in response. Well, technically, he still hasn’t said anything, but here’s a little email I received from his publicist, in its entirety, unedited. The derogatory posts against my client RZA by Azealia Banks is unwarranted and beyond that — unbecoming. Just this past week while promoting Wu-Tang: The Saga Continues on The Breakfast Club, RZA was asked about Ms. Banks and he responded positively with she’s a “great talent.” (found at 28:10) He went on to explain that there was a lot that has not been revealed about the night in question and that he did speak up on her behalf. RZA, from the moment he met Ms. Banks, bet on her to win. So much so that when others felt she would be too much trouble to work with on the film Love Beats Rhyme, he disregarded what had been said and looked beyond her well documented controversies moving forward with securing her as his lead. He felt she did an amazing job and his support didn’t stop there; he felt her voice needed to be heard and started negotiating a deal for her to release new music while simultaneously introducing her to his friends and colleagues. He introduced her to key people in the entertainment industry to help her broaden her reach. Her introduction to Russell Crowe at his private party resulted in Banks going on a salacious mission to disparage him and RZA. Playing the race card and anything else she could. I represent RZA and found it necessary to state he would never have done what he has in support of Ms. Banks to put her in a position to be harmed, ridiculed, demeaned, or treated in an inhumane way. And still, he continues to support her. Contrary to recent reports, a year ago RZA interviewed with TMZ on October 20, 2016, and clearly stated that Russell did, in fact, spit at Banks (found at :28). RZA never denied that. While there is no excuse for spitting at anyone, you would have to be in the room to witness the whole ordeal to see exactly why the night ended that way. As Ms. Banks reputation precedes her, RZA hasn’t and does not want to further embarrass Banks and stands by not revealing all of the details at this time. In fact, after the incident, concerned about her welfare, RZA made sure she made it back to her hotel safely. The Genius and original DJ of Wu-Tang stop by The Breakfast Club for a history lesson. Nothing derogatory here; yet Banks goes on to socialize her attacks stating RZA should “drop dead” while making unfavorable remarks against him. Regardless of any rumored conditions she may have, I feel there is no excuse for this type of behavior, therefore I feel obligated to let the record show that RZA has tried his best to support Ms. Banks. Taking the high road is not an easy task when someone constantly slanders you, but he has. Enough is enough. Respect and decency should happen at some point.